Do you ever find yourself in a rut? You make the same old side dish over and over again because it is easy and familiar. There is nothing wrong with familiar, and definitely nothing wrong with easy, but sometimes you need to change things up!! Take these Instant Pot Loaded Mashed Potatoes for example….. 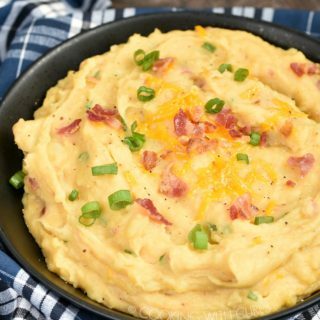 They are easy to prepare, loaded with flavor, and are much more exciting that basic mashed potatoes!! You have the creamy, richness from the Greek yogurt and butter, and the salty bite of the bacon pieces and blended together with…wait for it…vegetable stock! Place the peeled, chopped potatoes into the liner of the Instant Pot. 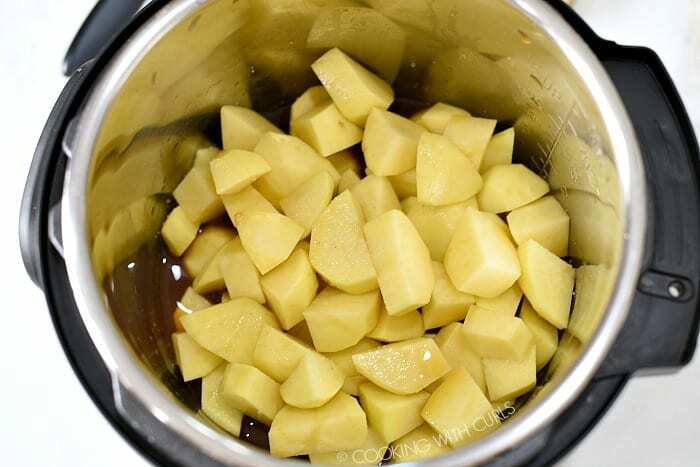 Pour the vegetable stock over the potatoes…..
Place the lid on the pressure cooker and twist to lock into place. Make sure the venting knob is in the “Sealing” position. 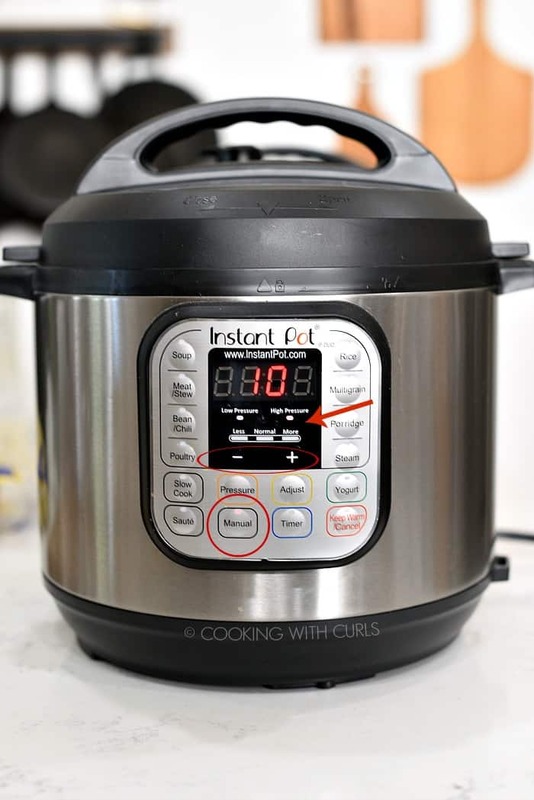 Press the “Manual” or “Pressure Cook” button and adjust the time to 10 minutes using the + and – buttons….. When the pot beeps VERY CAREFULLY twist the venting knob to release the pressure. 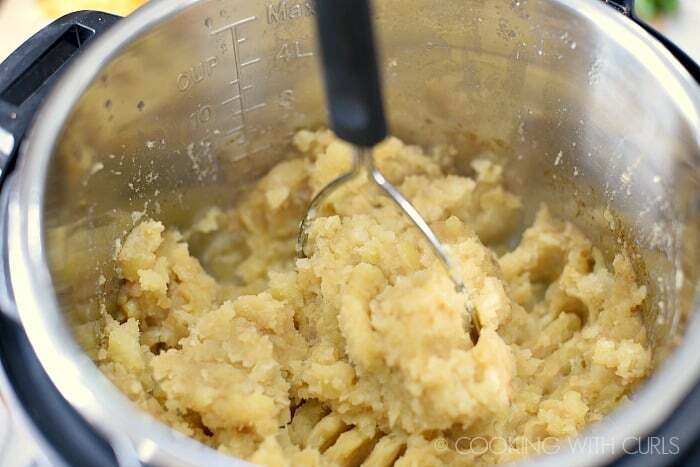 Remove the lid…..
and mash the potatoes with the vegetable stock….. 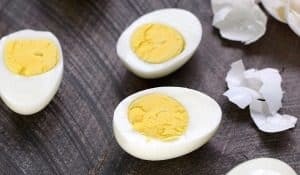 Mix in the butter, milk, and yogurt…..
Add the cheese, bacon, and green onions, and season to taste with sea salt and ground pepper. 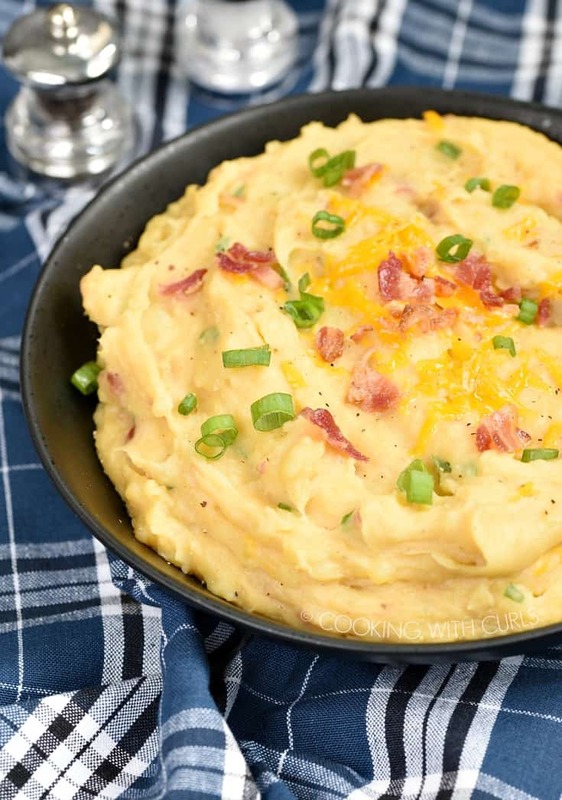 Stir to combine…..
Garnish with additional cheese, bacon, and green onions if desired and serve…..
Did you notice that you did not have to drain the potatoes? See, I told you they are easy to make!! I kept my version lactose-free by using unsweetened CashewMilk, Greek yogurt, and of course unsalted butter. 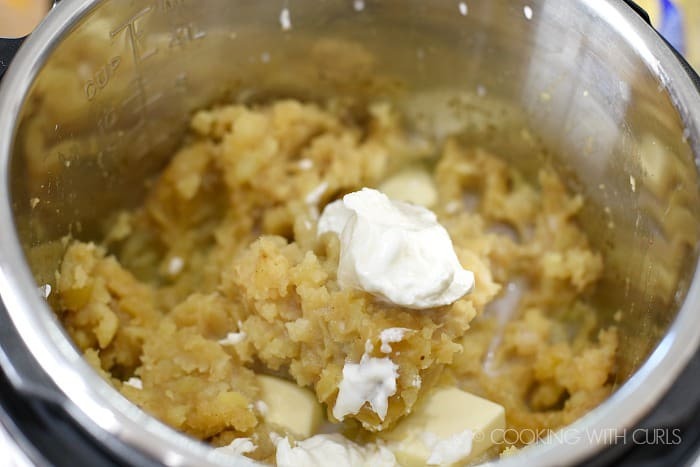 For creamier potatoes, substitute heavy cream for the milk, and sour cream can be substituted for the yogurt. 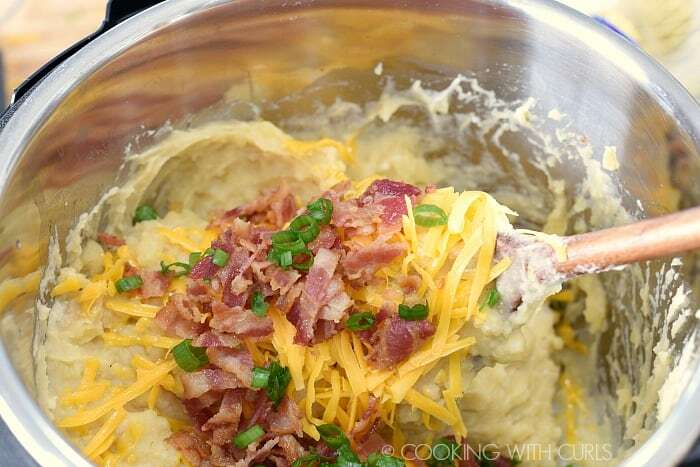 For even richer flavor cook the potatoes with chicken stock. 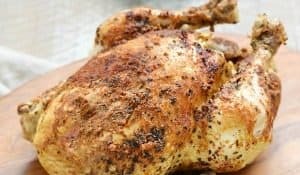 I used Yukon Gold potatoes but russet potatoes would work as well. 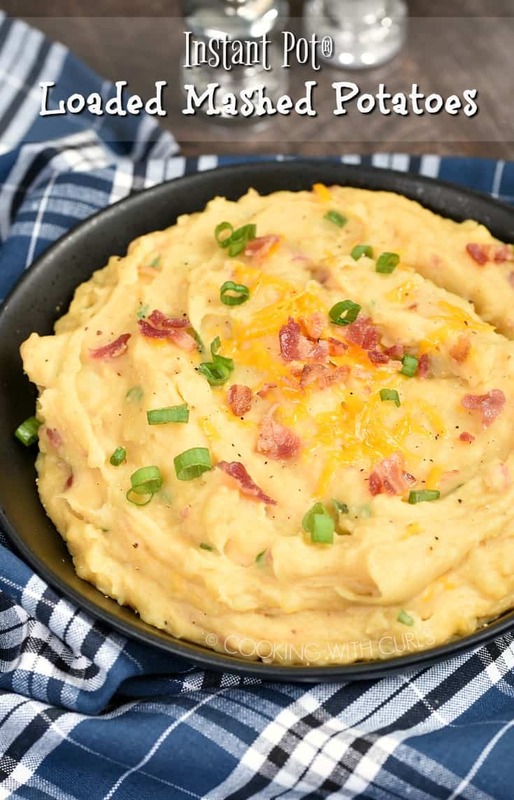 These creamy Instant Pot Loaded Mashed Potatoes are loaded with flavor and easy to prepare for a quick side dish that the whole family will love!! 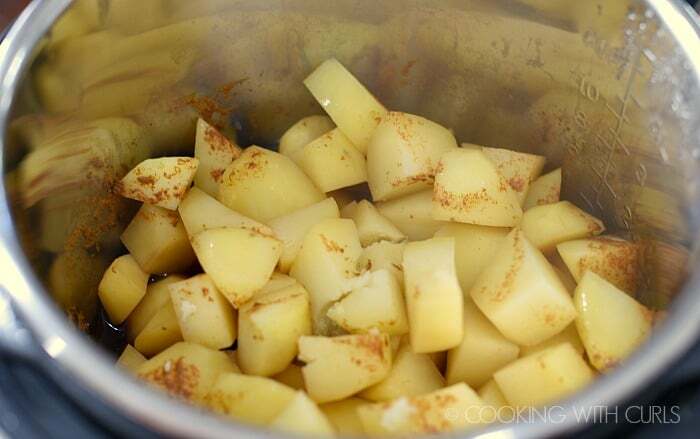 Place the peeled, chopped potatoes into the liner of the Instant Pot. Pour the vegetable stock over the potatoes. Press the “Manual” or “Pressure Cook” button and adjust the time to 10 minutes using the + and – buttons. When the pot beeps VERY CAREFULLY twist the venting knob to release the pressure. Remove the lid and mash the potatoes with the vegetable stock. 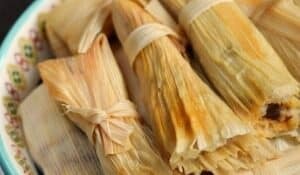 Mix in the butter, milk, and yogurt. Add the cheese, bacon, and green onions, and season to taste with sea salt and ground pepper. Stir to combine.